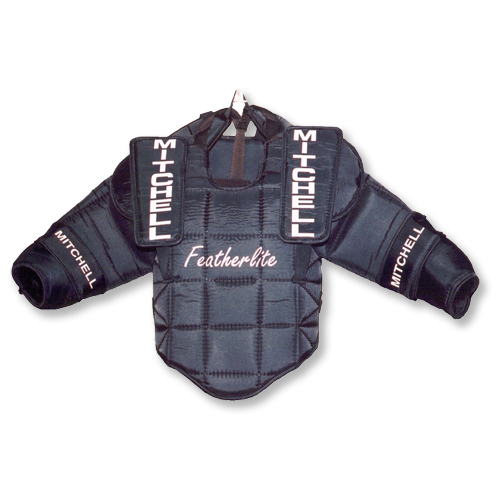 Manufacturing customized pads, covers, blockers, catchers & body armour for goalies of all skill levels since 1980! 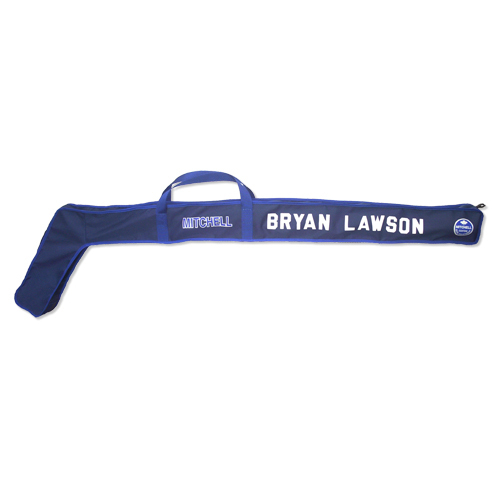 We provide a wide range of accessories catering to the goaltender and the player such as hockey bags, pants, jocks and jills. We make just about any kind of bag you can imagine. 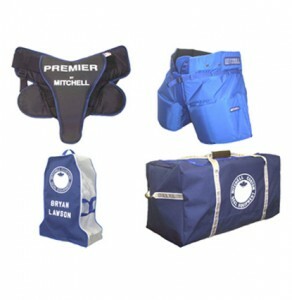 Whether you want skate pockets, internal pockets, cooler bag or a small parts pouch we can do it. Let us know what you’re looking for and we’ll be glad to provide a quotation. We’ve produced many different types of graphics in various materials on many different products. From specialized lettering to complex graphics and integrated padding systems, we may be able to create the goalie pad you’ve always dreamed of. From concept to detailed plans we will be happy to discuss your vision on what you would like to see on your equipment. Some customers have had very detailed and complex ideas and our experience has shown that usually by breaking it down to a more simpler design that it will produce better results. Let us know if you see something of interest or if you have an idea you would like us to work on. We would be glad to have a look and provide a quotation. 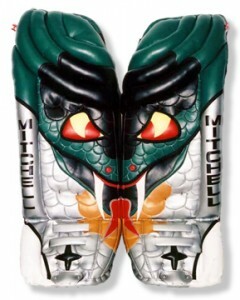 Click the Cobra goal pads to see some examples of our work. 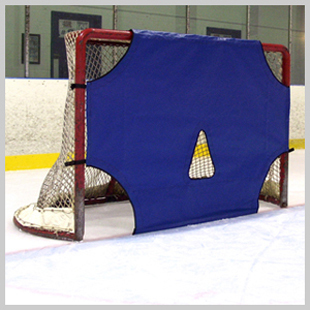 For inline or ball hockey use, these goal pad covers are of a three piece construction designed for a perfect fit. 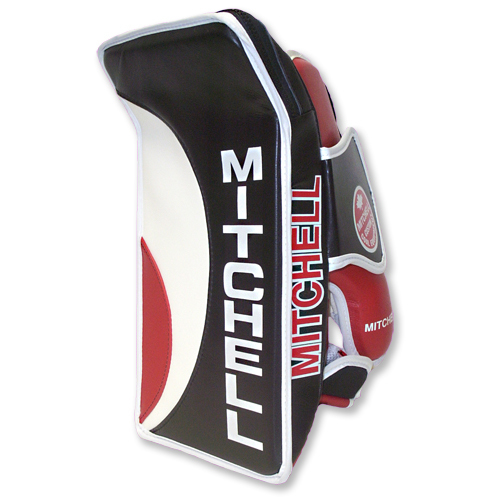 Made for either ‘Box’ or ‘Conventional’ style of goal pad in either 11″ or 12″ widths. You have your choice of colours at no extra charge. 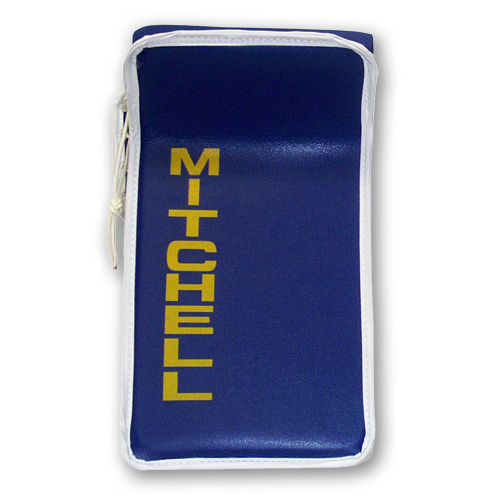 Optional plastic inside sliding plates and custom graphics available on a quote basis. Just submit your team logo or picture and we’ll send you a quote for your approval. 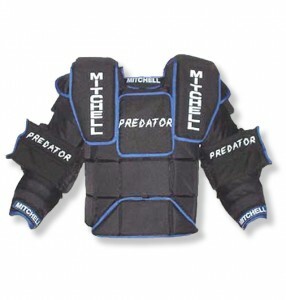 Body Armour is the most important piece of the goaltender’s equipment. That is because upper body protection is paramount to building one’s confidence. Getting picked off by a shot is no fun and makes you shy away or stand up on the next shot. Knowing you’re protected no matter who you’re going to face will enhance your play and give you piece of mind. 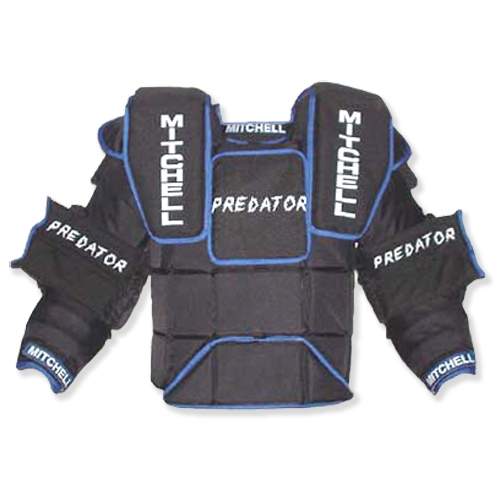 You don’t necessarily need expensive goalie pads to play goal but with body armour, price equates to protection. It is the one piece of equipment that you should not skimp on. 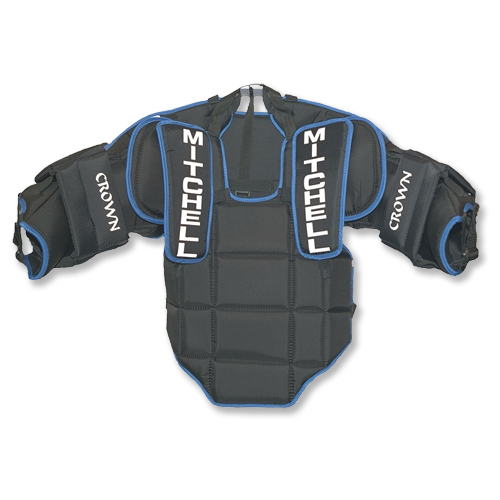 Upper body protection is one of the first pieces of equipment we designed so we have thirty years of experience and customer feed back to rely on. That is why we offer five different line ups with one to suit your needs. 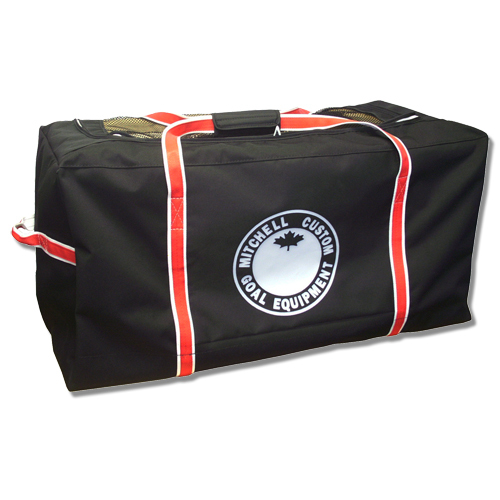 Whether you are just starting out in house league, playing ball hockey, or plan on making it the the Pros we have a set just right for your level. 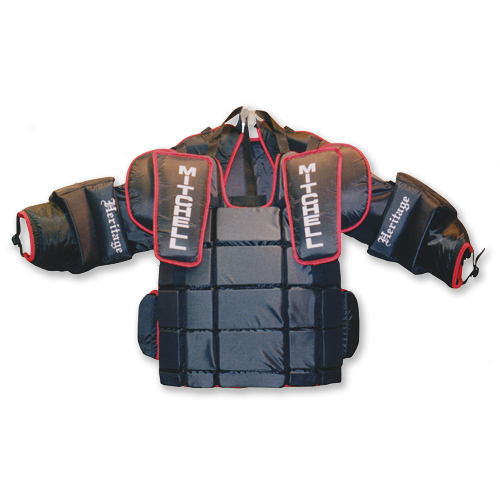 Please check out our body armour sizing chart to see how you fit in. 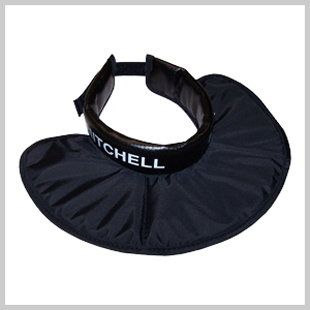 For over 30 years Mitchell Enterprises has designed and manufactured goal equipment from novice to pros. 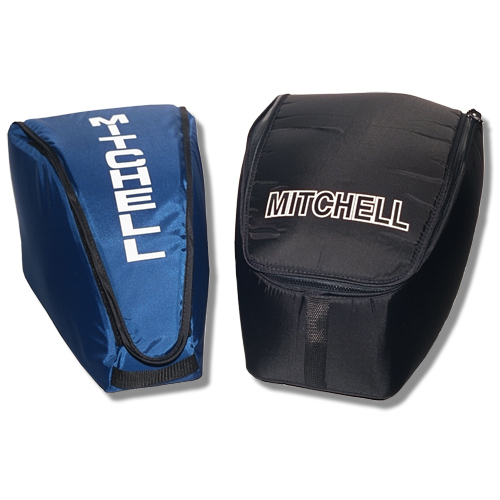 From the leather and deer hair days to the Cordura and block foam era to the clarino and high density foams and now to the new box style goal pad, we have been there every step of the way. 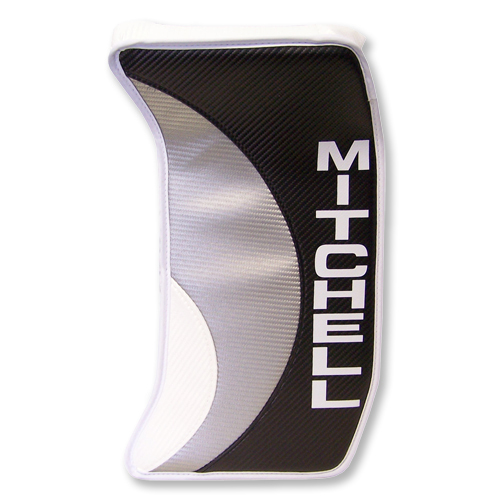 Our Mitchell Goal Pad Sizing Chart has some interesting information so be sure to check it out. 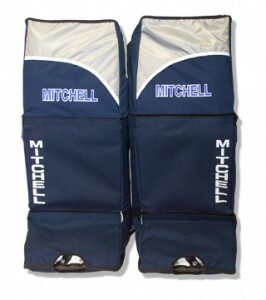 Our Premier goal pad (shown here) is the standard for today’s goaltender. 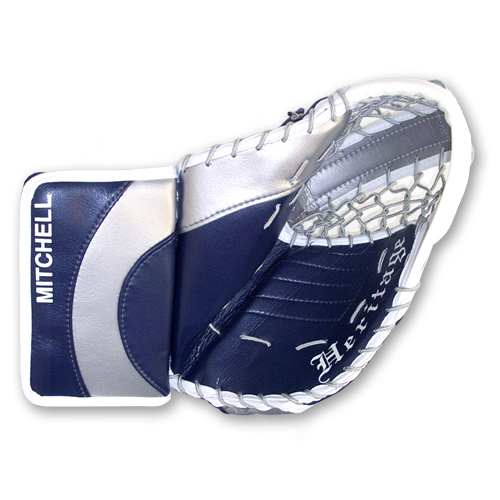 The near squared top and toes leave little room for puck penetration with the extensive shin and knee cradle providing a smooth transitional feel for the puck. 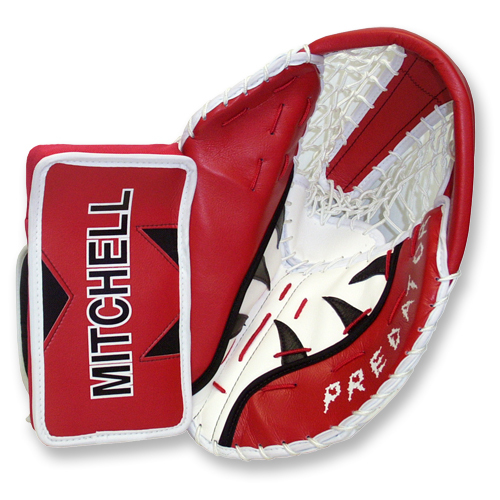 For the conventional goaltender our Predator or TriFlexX goal pad is what you may be looking for. With deep leg channels and an array of options, the Predator has conventional knee rolls while the TriFlexX has a very unique knee system that allows for instant break-in. 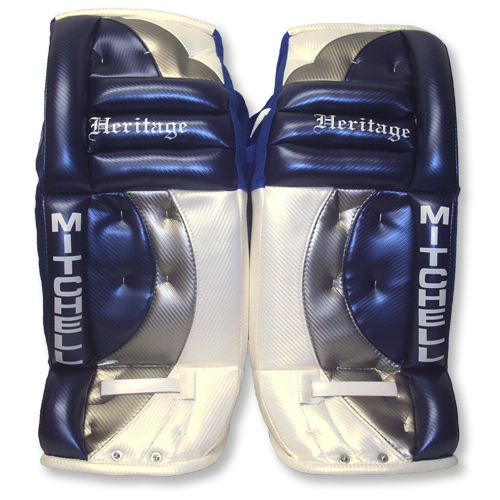 For the young and intermediate goaltender our Featherlite and Heritage lines will make them very comfortable. The Featherlite weighs in at less than two pounds and the Heritage packs a lot of pad in a small package. 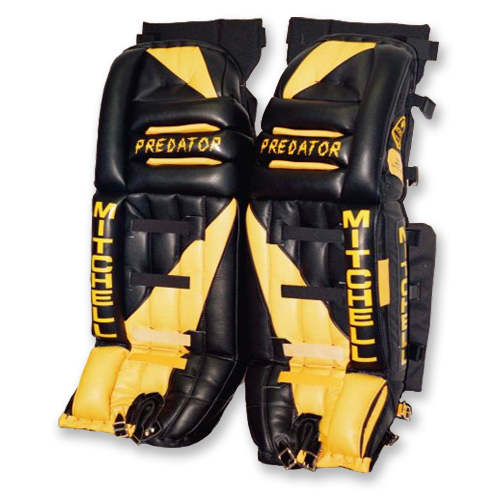 Located in Pickering, Mitchell Custom Goalie Equipment serves local hockey players and goaltenders in Durham Region and throughout the Greater Toronto Area (GTA). 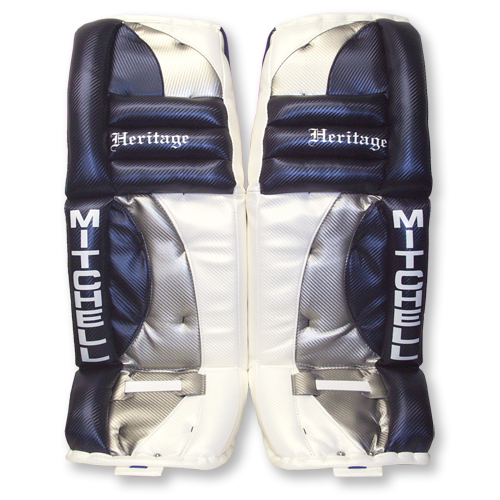 Originally established in 1980 as a hockey equipment customization and repair service, Mitchell Enterprises also offers custom goalie equipment that is tailored to meet the requirements of every goaltender. 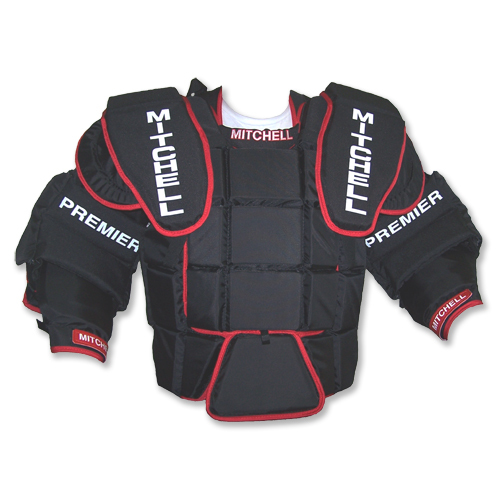 We offer four main and separate series of goaltending equipment, each including goalie pads, catchers, blockers and body armour that offer the latest in design, material and protection. 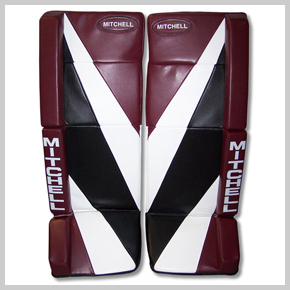 In addition to offering customized graphics and product design, we also offer complete goalie equipment repair services. 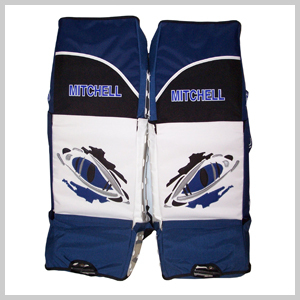 For Goaltender Accessories, we offer a broad range of items, including: goalie jocks and goalie jills, goalie pad bags, replacement parts and custom hockey bags. 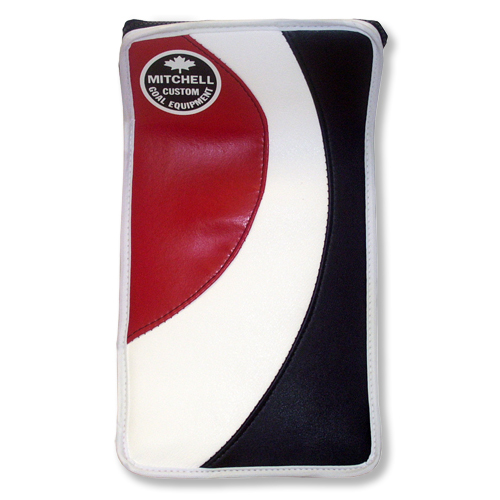 Goalie pad covers are another big seller. 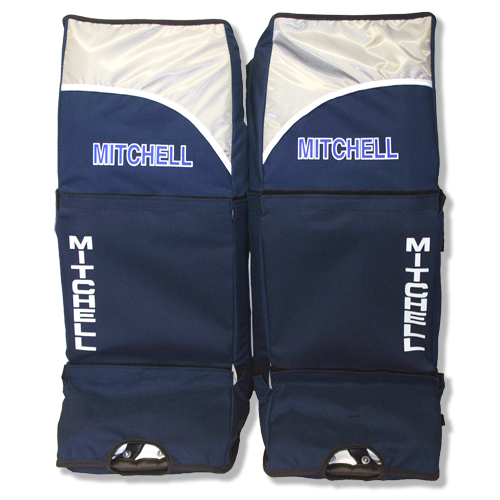 Personalized protective covers go over your existing goalie pads so you can play inline hockey on any surface. 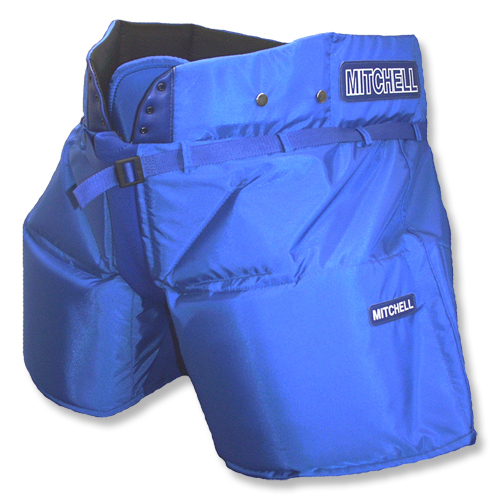 Save your goalie pads from undo wear by using pad covers! From Men’s hockey to Women’s hockey. From Beginner to Pro. From Ice hockey to Ball Hockey & Inline hockey. 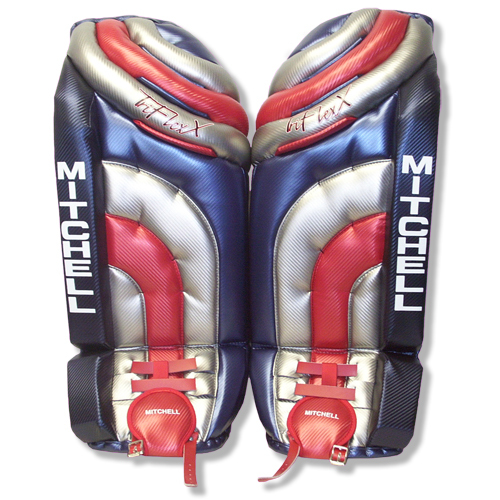 We cover it all and our company has catered to the unique needs of goaltenders for over 30 years. 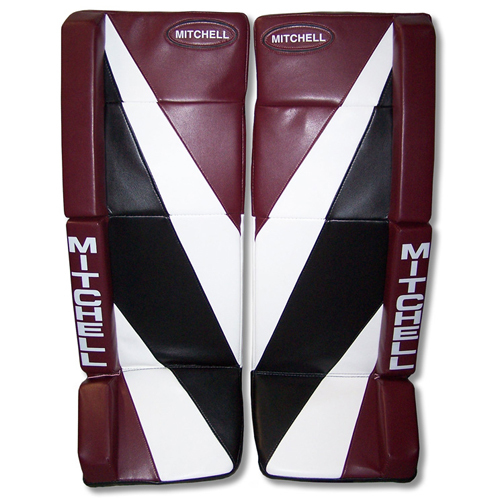 We also make having customized goalie equipment more possible by offering entry-level pricing for the beginner goalie. 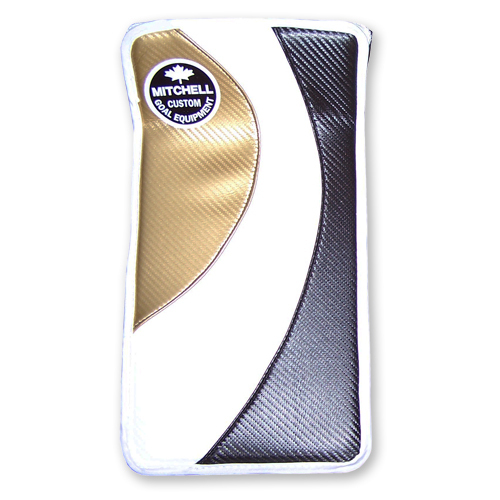 The TriFlexX and Predator brands are built with the professional or serious amateur player in mind. The Heritage line is better suited to less intensive amateur play and the Crown series is the best choice for the beginner or recreational goalkeeper. 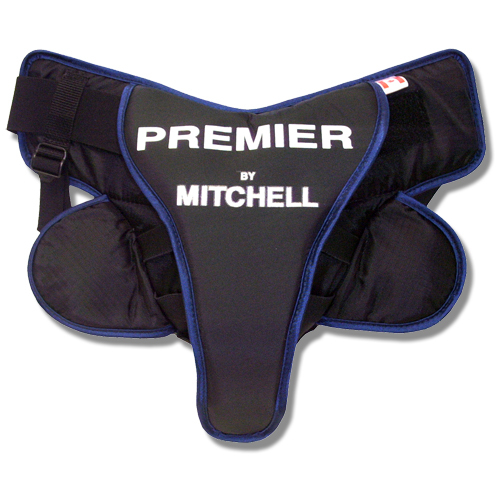 The Premier goal pad is a stand-alone item that is the choice of today’s goaltenders. 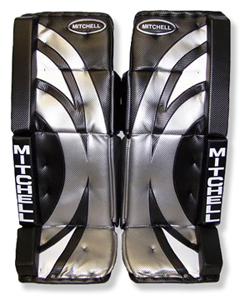 The extensive knee and shin cradle allow the goaltender to fit into a taller pad to maximize coverage. 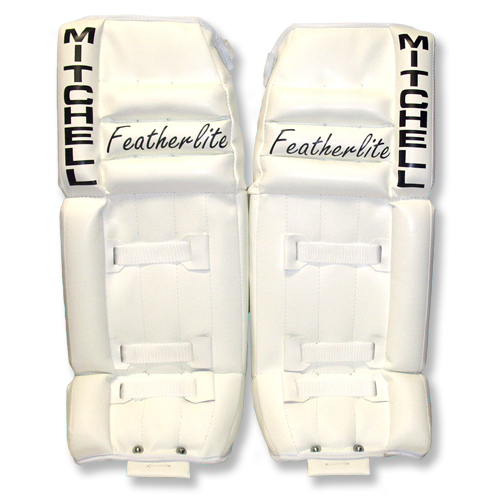 Also of note are the Featherlite goal pads, designed for and used by many house leagues and minor hockey organizations. 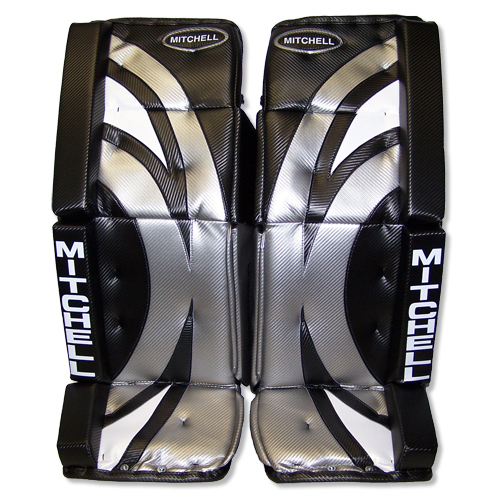 Each pad weighs less than two pounds each and come in even sizes 20” to 26”. 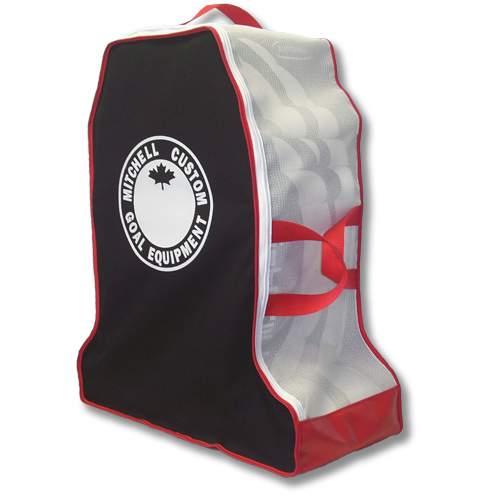 We also have developed a line of specialty bags designed for the equestrian rider. 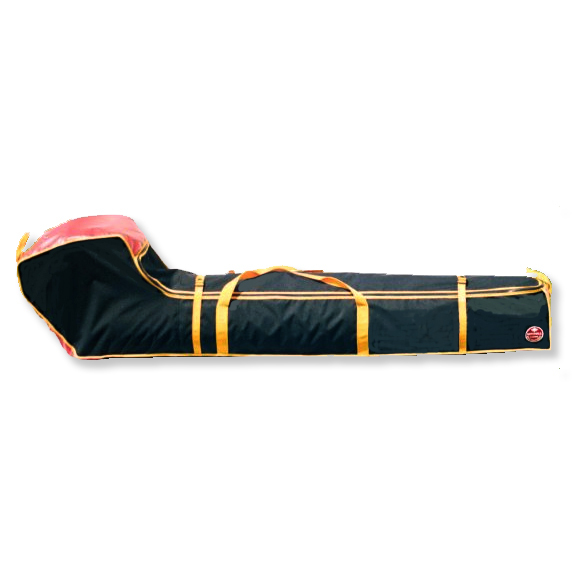 Everything from boot bags to saddle bags and lots of specialty items in between. Browse through our website for more details, or contact us to go over your specific requirements. 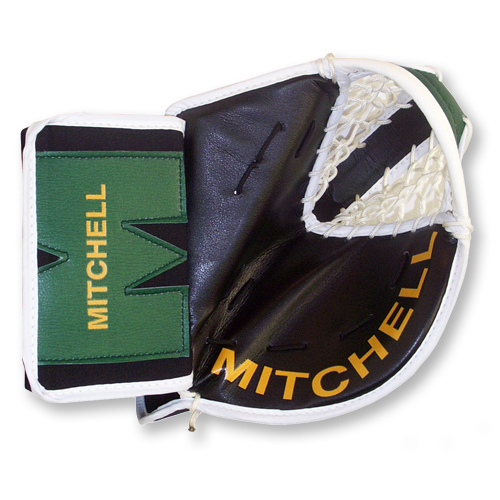 Mitchell Custom Goalie Equipment © 2019. All Rights Reserved.